BFA’s practical courses perfectly complement ELTE’s internationally respected film curriculum. Alongside BFA’s hands-on, business-oriented film program, our students can choose from a wide variety of more theoretical courses from ELTE’s own film division, such as film history, aesthetics, and critical studies. The Budapest Film Academy (BFA) provides its students with up-to-date knowledge; therefore, even with the change of the market, they will become employable industry professionals. The Academy’s goal is to acquaint its students with the American “know how” and teach them skills for international filmmaking. Filmmaking is increasingly turning global. The best film schools have accepted this fact, and have learned to adapt. Graduates of Budapest Film Academy will commence their professional career with a competitive edge, in their field of specialty and in other areas of filmmaking too. 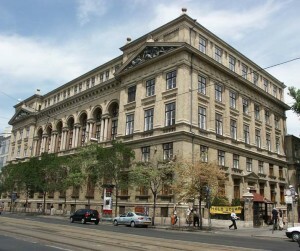 The classes are held in two languages: English and Hungarian. In each case, there is an interpreter who translates for those who do not speak the given language; but with the help of earphones, students can easily follow the lecture. 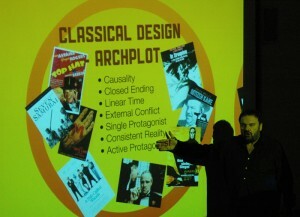 The curriculum primarily deals with genre films. Students can learn the requirements, motives and the structure of these movies. Those who want to make art films, they still need to learn the rules before they start dismissing them and creating their own. Only after being familiar with the classic structure can these filmmakers decide which elements they want to ignore, or change. The Academy’s faculty is made up of highly qualified filmmakers and award winners of the industry, who lend not only their knowledge, but their networking to students. BFA/ELTE is a one-of-a-kind institution of higher education, where graduates will receive help to find jobs in film business. BFA/ELTE cooperates closely with other high-education institutions abroad, and with film-, post-production studios, equipment rental houses, production companies, international and domestic distributors. The Academy also facilitates semester-long exchange programs with institutions abroad. 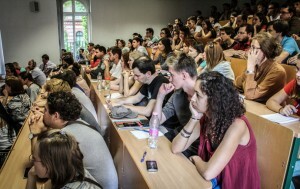 A considerable part of the Academy’s students come through ELTE (Eötvös Loránd University), because of the connection between the two institutions. These young filmmakers can be either BA or MA students; the Budapest Film Academy does not separate them. They go to the same courses at BFA without any reference to their levels of study. If an MA student has never learned scriptwriting, or has no knowledge about cinematography, then he/she studies in the same beginner class as a fellow BA student who has no previous filmmaking background. The ELTE students get credits for finishing the courses and these are accepted by Eötvös Loránd University towards both academic levels (BA, MA). Those who are not ELTE students can receive ECTS (European Credit Transfer System) credits. These can be used in a number of European universities. After they have been provided, students have three years to get them accepted by an institution. This means that the credits can be claimed even if the student does not attend any university or college at that time, but plans to apply later. Students must ask for the ECTS credits from the Academy when they apply or once they start the course (the latest). There are also students who do not need credits at all, only the practical filmmaking knowledge. They get 20% off of the tuition fee, and a Budapest Film Academy certificate. This will be issued for everyone, whether they are ELTE or ECTS credit students. 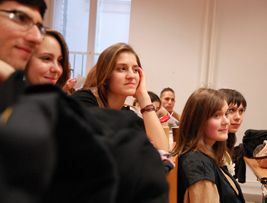 The classes are visited by Hungarian and foreign students as well. There is no age limit, because it is never too late to get into the filmmaking field. 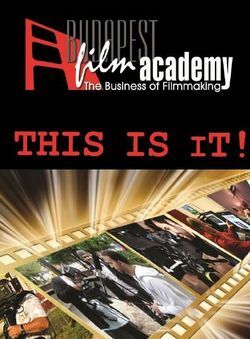 Each of the courses provides knowledge that can be used throughout a range of different film related occupations. For instance: experts in the television industry, marketing specialists, trainers, theatre dramaturges, and people of several other professions can all find practical training in our classes. WHICH COURSE(S) SHOULD YOU TAKE? The given fields’ courses build on each other in the following semesters. The courses can be done in packages or individually. 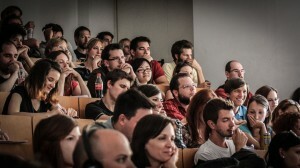 The management of the Budapest Film Academy believes in cross-platform education, because every field is connected to the others. If someone wants to be outstanding in his/her specialty, he/she has to gather knowledge of the other areas of filmmaking as well. A director, for example, should know the screenwriting structure, the cinematography techniques, the achievable visual effects, and the needs and possibilities of the producer. The same goes for a writer, an editor, a cinematographer, or a producer; they also need to have a knowledge that applies to the full range of filmmaking. An editor, for instance, is also a dramaturge. They perform the last rewrite of the film, so they should have an extensive knowledge of the various dramatic tools or structure. On the other hand, to pick the best shots, they should have cinematographer knowledge from the point of view of light and visual composition. A director often edits his film, but in any case he also needs to be aware of the story dramaturgy, just like the cinematographer. A screenwriter has to think in terms of images, so it does not hurt him to know how to tell a story through pictures. 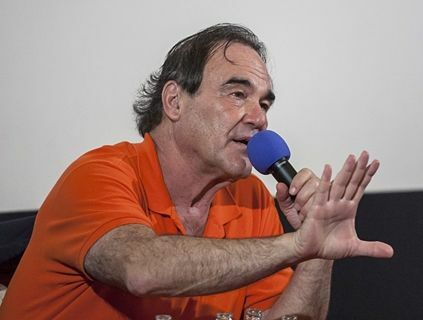 Writers also have to come up with characters that a director or a producer can use effectively to get actors, even A-list stars, if necessary for the financing. 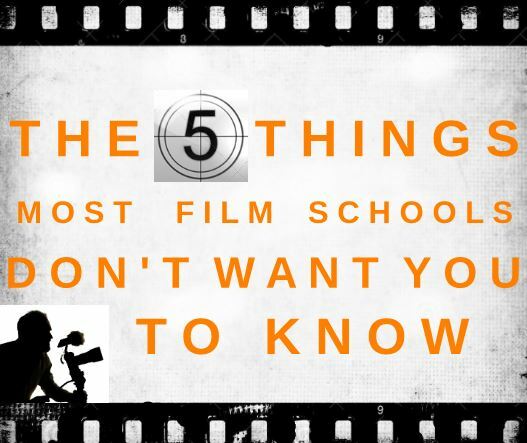 In addition, producing knowledge is needed for everyone who wants to write a marketable film. Even a single course can be taken, but for someone to become a successful filmmaker they need to finish at least two modules on a high level. This choice depends on the student, there are no pre-determined combinations, since all of the modules perfectly complement each other. 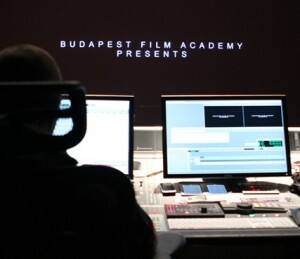 Budapest Film Academy regularly offers free introductory lectures for students who want to peek into the courses of BFA. Filmmaking is among the most coveted professions in the world. As such, the road to success in this field is intense, competitive, and pressure-filled. However, if navigated properly, the rewards are numerous, and can provide both creative satisfaction and a great income. This is why, each year, thousands of students apply to film schools all over the world, spending tremendous amount of money for tuition to pursue their dreams. The problem is that the market is saturated, with too many students and not enough filmmaking jobs to go around. From the many thousands worldwide who finish their film studies each year, precious few will forge lasting, successful careers in one of the main artistic or technical fields. We are not trying to talk our prospective students out of their dreams. If they have the hunger to make it as filmmakers, they must hold onto it – as it will be vital to their success. While the odds of success are long, they can be overcome. But to do so, students will need to acquire a few things: knowledge of the industry, an understanding of the international market place, comprehensive filmmaking skills, practical knowledge, and last but not least, international connections. And from day one, those things are exactly what Budapest Film Academy helps our students to obtain. Our mission is to rigorously train our students to become world-class story tellers. BFA’s curriculum includes practical creative workshops and courses that cover the entire spectrum of the filmmaking process. Students are immersed in the principles and working methods of a variety of genres and dramatic forms. Through multiple practical exercises, short films, and script projects, they are encouraged to explore their understanding of the medium, with the ultimate goal of establishing each student’s personal voice.